KAMPALA – The Opposition Democratic Party (DP) has suspended the reunion tours of its youth wing, the Uganda Young Democrats (UYD), after the latest one in Masaka over the weekend ended in chaos. The party early this year launched a caravan where party members, both young and old, will be meeting in different parts of the party to map a way forward for the country’s oldest political party, whose fortunes have in recent years nosedived. 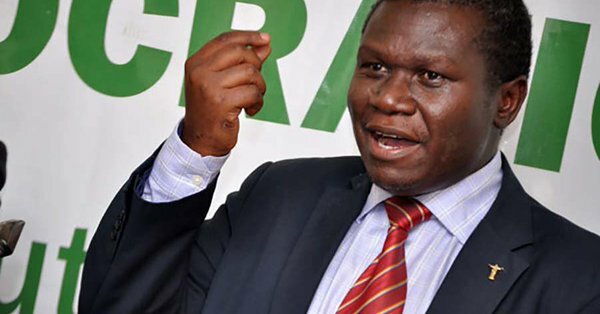 But on Tuesday, DP president Norbert Mao apologised to Ugandans after the caravan in Masaka, which was also attended by Kyadondo East MP Robert Kyagulanyi, ended in a fist between different supporters of rival party members. Mr Mao, who announced the commission of inquiry to investigate the chaos which erupted at Liberation Square in Masaka, however, insisted that the reunion caravan will not stop but shall be suspended. “We shall institute an inquiry into the incidents of Violence and hooliganism that took place in Masaka and assign responsibility to those who carried them out. We shall also restructure the organisation and management ofReunionn events with a view to making them more inclusive and accountable,” he said. “The reunion caravan shall resume in due course but in the meantime, let’s awaits for the outcome of the fact findings and inquiry,” he added. Greater Masaka is a DP sanctuary, with many MPs hailing from the area coming to Parliament on DP ticket. Mr Mao said it was unfortunate that in Makasa, many of their leaders decide to use the reunion to a settle personal political scores. “The reunion caravan will not stop because that is our desire and our country faces a crisis of confidence and requires a new direction. Therefore, we shall take measures to learn all the lessons from Masaka and the previous reunion event,’ he said. In Masaka at the weekend, trouble began at around 3 pm when youth allied to Masaka Municipality MP Mathias Mpuuga attempted to block DP vice president Fred Mukasa Mbidde from entering a marquee at Liberation Square, the venue for the assembly. The youth cornered Mr Mbidde and roughed him a bit. He was rescued by ushers. After Mbidde forcing his way into the crowded marquee, Ms Florence Namayanja, Bukoto East MP, a member of the organising committee, called members to order but they defied her. A few moments later, Mr Mbidde was invited to address the Gathering, but was again greeted by a chorus of boos. The situation forced Mr Mao to announce that he was going to call off the Reunion once the youths continued to react in the same manner.